TEFAF´s 31st edition in March 2019. However, dozens of familiar exhibitors were left out of the selection, which has understandably led to disapproval by those who were rejected. The CEO of the world-renowned art fair, Patrick van Maris, defended this fi rm move, by stating TEFAF intends to include new faces and give an opportunity to new exhibitors, rather than abiding by the tradition of automatically reserving spots for previous long-time exhibitors. In accordance with new TEFAF regulations, exhibitors – including previous participants __ must apply each year to participate in the annual fair, without guaranteeing any entries. Thus the fair´s board of trustees guarantees fi ercer and fairer competition and an increase in the quality of the annual art exhibition. Reserving automatic entries for past exhibitors hinders competition and makes it impossible for new exhibitors to enter the fair. TEFAF presents exhibitions of some of the most distinguished and expensive art projects, offering a gateway to lucrative sales in antiquities, jewellery, paintings and design. Partly because of this, the fair resembled a closed group, only open to familiar elites reaping the benefi ts of the opportunities the fair presented, and rewarded by guaranteed re-entry. There was little room for new faces, unfairly raising the barrier to entry. This went against the fundamental nature of the art fair and its wide-reaching aims. After having seen this situation persist for decades, Van Maris knew the change would not be easy, but TEFAF would improve if it opened its doors to more innovative, creative minds. He calls his decision “painful and emotional,” yet stands by it, despite the pressure from disappointed parties. Speculation continues as to how the TEFAF brand will survive the change, especially when several dealers have expressed anger, but Van Maris is confi dent the fair will pull through, claiming to have thoroughly considered the consequences of this sudden shift. The disagreement erupted when TEFAF’s dealers complained that the rigorous selection process was tampered with by its top leadership. Each section of the fair has its own selection committee, consisting mostly of exactly those dealers who have now been disappointed. They have always demanded independence in their laborious and lengthy selection process. According to Van Maris, the TEFAF board of trustees signed an agreement in 2016 to open up the fair to new applicants, even at the cost of excluding old and less competent participants, but TEFAF is only now abiding by the agreement. Van Maris’s decision thus matches the fair’s by-laws. According to Article 7 of TEFAF terms and conditions, ‘all Applicants are fully evaluated each year, regardless of how many years the Applicant has participated.’ The article furthermore emphasizes that previous participation neither indicates nor guarantees an automatic right to participate in future fairs, and that incomplete applications will be rejected. To add fuel to the fi re, some TEFAF dealers accuse Van Maris of ignoring the results of their rigorous selection process and failing to inform them of next year’s exclusions. However, as part of the wider attempt to put out the fi re, the new CEO hit back, claiming that although it was not pleasant, he phoned and personally informed all dealers who had not been selected. 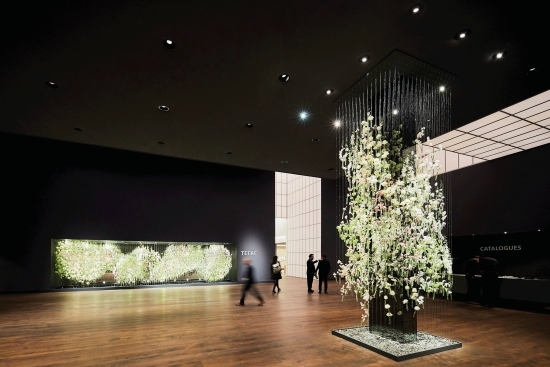 The disparity between the two claims suggests a wider rift within the TEFAF organization. Gallery Delaive, a specialist in modern and contemporary art, was not happy to learn of its exclusion from the upcoming TEFAF. The Amsterdam-based gallery has been in operation for nearly 40 years and has participated in the prestigious art fair for over 25 of those years. Consequently, gallery director Nico Delaive was quick to express anger about his unexpected exclusion. According to Delaive, his gallery was put on a waiting list and there is no assurance of guaranteed entry into future TEFAF programs. Many of the excluded dealers and exhibitors share Delaive´s frustration and feel that the TEFAF they knew is deteriorating in the hands of Van Maris’s new, radical leadership. Next year, sixteen fi rst-timers will be welcomed at the Maastricht fair, including antiquities specialists Galerie Chenel and modern and contemporary art gallery Perrotin. Although the selection process is conceivably more democratic, the next fair will show what the public thinks of its new direction.